Pink, black, red, and white Girl's Valentine's Day tutu with polka dot ribbon streamers, and hair bow to match. 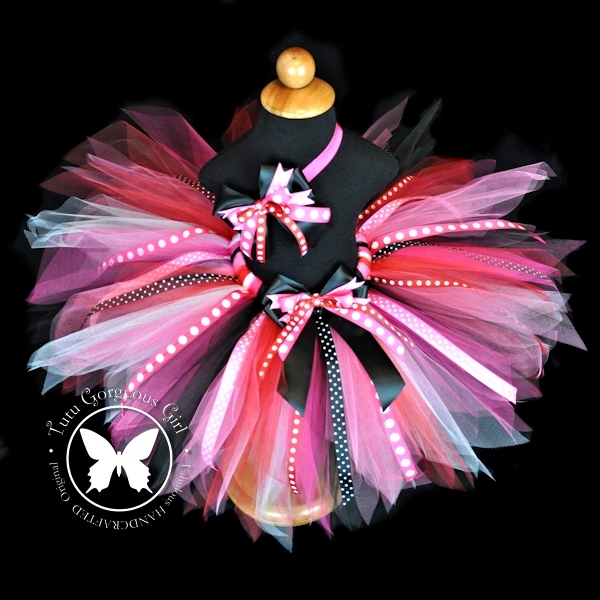 Girl's Valentine's Day tutu featuring red, pink, white and black tulle, and fun polka dot ribbon streamers. Tutu includes layered bow clip at the waist and an optional hair bow with stretch headband.